Inspired by Crusading knights and tales of chivalry, the Antique Gold Decorative Crusader Dagger is a beautifully stylized take on medieval weaponry. Antique golden tones finish its steel pommel, guard, and matching sheath detail. The 440 stainless steel blade features a typical spear point with a central ridge down its length. With arms turned upwards, the crossguard is detailed with heraldic beasts and kneeling knights surrounding a central Crusader cross. Stacked ridges in a black, faux leather texture create the sturdy grip.  A round pommel finishes off this knightly dagger, an emblem at its center detailing two riders upon a single horse. 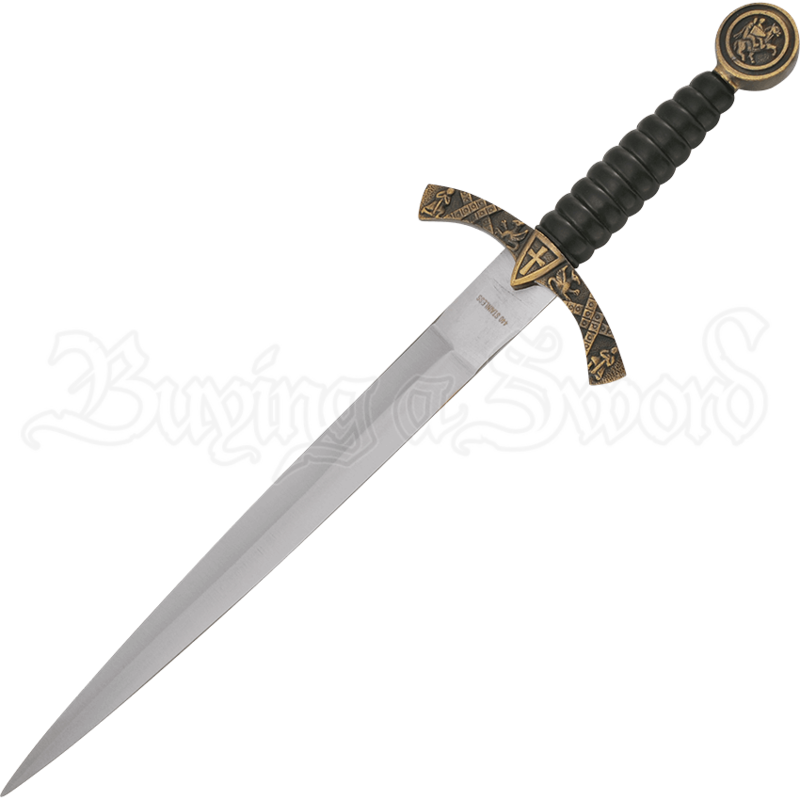 The matching scabbard is included with this collectible dagger and features matching heraldic and Crusader imagery in antique gold upon its endcap and throat. 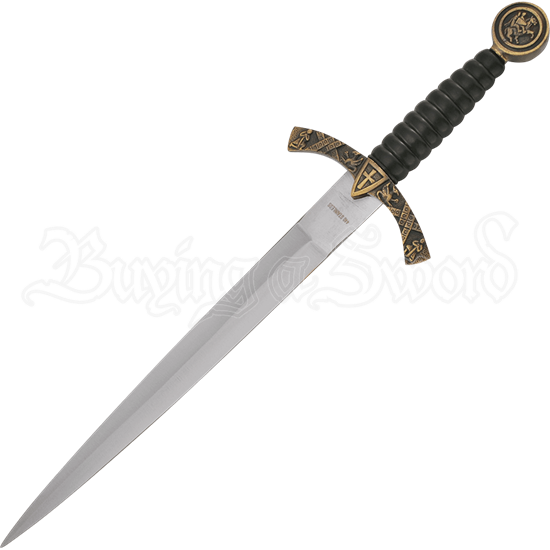 An essential addition to any medieval themed decor, this decorative Crusader knife also makes a great gift or collectible for medieval history enthusiasts.